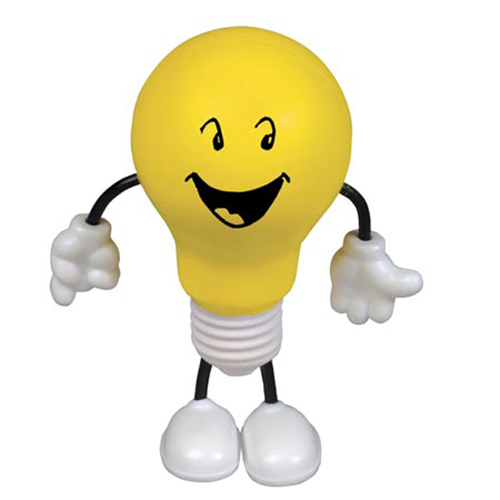 Lightbulb Figure Stress Reliever can be used to promote a time or energy saving product. Imprint your company information on this stress ball so they will have your contact information at their fingertips. 2-1/4" x dia. x 4"
Bulk / 23 lbs / 150 pcs. / 24x14x15box.